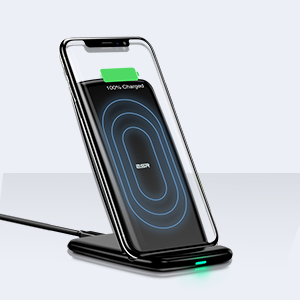 FAST CHARGING- Upgraded design with heat control features including a separated coil and circuit board, means improved charging speed and stability for a fast and safe charge. STABLE SUPPORT- A wide base design and non-slip pads for the base and ledge ensure your phone and charger stay securely in place. SLEEP FRIENDLY- Specially designed indicator light shines a small, soft light down towards the surface the charger sits on to ensure you get uninterrupted sleep. 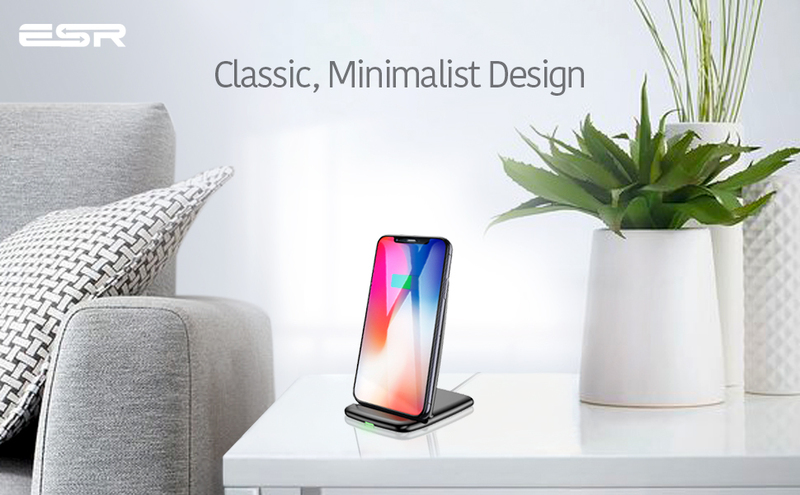 VERSATILE VIEWING EXPERIENCE – A dual-coil design, lets you charge your phone vertically or horizontally while using it for things like FaceTime or watching videos. 1. This wireless charger is not compatible with the iPhone 6/ 6s/ 7 or the Apple Watch. 2. We recommend using a QC (5V/2A) power adapter. 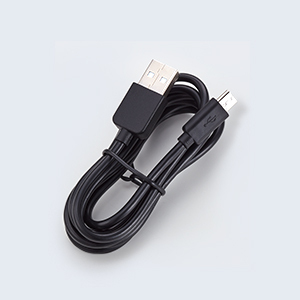 When using a standard Apple power adapter (5V/1A) or a computer USB port to power the wireless charger, it is possible the power will be insufficient to charge your phone properly. 3. The indicator light has three display modes. The light is green during charging, and red during standby. A flashing red light indicates an error; typically a foreign metal object in the charging area that needs to be removed. It is normal for the receiving coil or plate to get warm during the wireless charging process. We have specifically designed this charger with the dual charging coils and the circuit board separated to better dissipate heat. 2. Why is the charging speed slow? If your phone supports fast charging, A QC 2.0 or QC 3.0 AC adapter is needed for fast charge mode (not included). Reducing the phone’s background applications may also improve the charging speed. 3. Will it charge through a thick or rubber phone case? The ESR Wireless Charger is compatible with most phone cases. 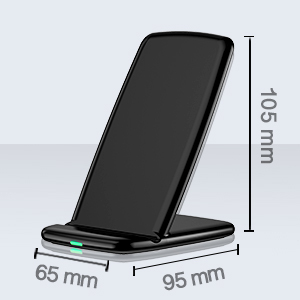 However, phone cases thicker than 5mm (like OtterBox) may affect wireless charging. on it self a nice and handy product. promises what was described. However the Green LED light is very, very bright. I had to tape that off. it looks more white than silvery, but thats ok. I personally have overlooked the fact that it is NOT fast charging IPhone X .(!) But that is my mistake it’s very clearly stated on the amazone site. other than that nice.